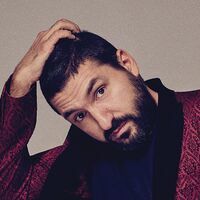 Born in Beirut in 1980, Ibrahim Maalouf is currently the most popular instrumentalist on the French music scene, with a body of work that has enjoyed international recognition for nearly 10 years. When he was just 20, Ibrahim won several major international classical music competitions and began a career as a classical musician. Yet starting in the 2000s he also became a leading artist on the pop, jazz, and World Music scenes. Sting, Salif Keita, Amadou & Mariam, Tryo, Matthieu Chédid, and many other artists from different musical genres asked him to perform with them. Between 2007 and 2017, Ibrahim produced, composed, arranged, and recorded more than 15 albums, including his own work and that of fellow artists. He also composed more than ten classical symphonic works and the music for several films. Ibrahim has won four Victoires de la Musique awards in France, an ECHO Jazz in Germany, a César award for Best Music in a Film in 2016, and a Lumières Award for best original score for a movie in 2016. He was also awarded the honorary titles of Chevalier de l’Ordre du Mérite and Chevalier des Arts et Lettres by the French government. Ibrahim is the top-selling instrumentalist in France, Europe and Middle East. After more than 1,000 concerts and five world tours, he became the first jazzman in history to fill France’s largest concert hall, the AccorHotels Arena in Paris-Bercy. The historic concert Ibrahim gave on December 14th 2016 at this venue sold out eight months in advance. Cited as “virtuoso” by the New York Times, a few months later, Ibrahim Maalouf surprised his fans with the première of his upcoming album Levantine Symphony No.1 during a phenomenal concert, in collaboration with the New Levant Initiative at the Kennedy Center in Washington DC. The album was released on September 14, 2018, and precedes the 3:30 live DVD of the concert of Paris – Bercy – to be released on November 16, 2018.